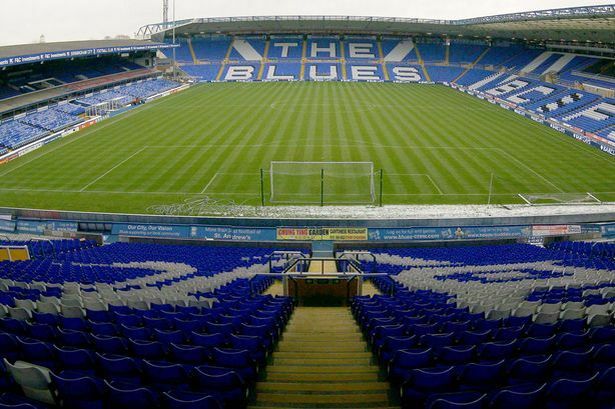 Birmingham City FC&apos;s Chinese owners have issued a stern &apos;hands-off&apos; warning to would-be buyers - crushing any lingering hopes of a possible takeover. In an announcement to the Hong Kong Stock Exchange, Birmingham International Holdings said it would not "entertain any informal non-binding offers" or the St Andrew&apos;s club. The statement reinforced recent suggestions by club sources that any clarity on a potential sale was unlikely before the end of the season at the earliest. BIHL told the Hong Kong Stock Exchange: "The board wishes to inform the shareholders of the company and potential investors that from time to time, the company has received indicative, non-binding offers from various third parties in relation to a possible acquisition of a controlling interest in Birmingham City. "Given the company&apos;s intention to continue to operate as a listed company, and accordingly to fulfil all relevant sufficiency of operations requirements under the Listing Rules, it is the board&apos;s view that such informal non-binding offers will not be entertained." Sources in Hong Kong have indicated there are no fresh bids on the table and no parties which had previously expressed interest were any closer to agreeing a deal. BIHL also said it was not aware of any reason for "unusual price and trading volume movement" in the company&apos;s shares on the Hong Kong Stock Exchange. "The company has noted the increase in the price and trading volume of the shares of the company recently," it added. "The board confirms that it is not aware of any reasons for such increase or of any information which must be announced to avoid a false market in the shares or of any inside information that needs to be disclosed." The hands-off warning comes just three weeks before the BIHL board votes at its annual general meeting on whether to re-elect controversial executive Peter Pannu and three other directors. Pannu remains a club director and an executive director, chief executive and managing director at BIHL despite the club deciding not to retain his services in October as acting chairman.